We understand how important a healthy spiritual life can be. 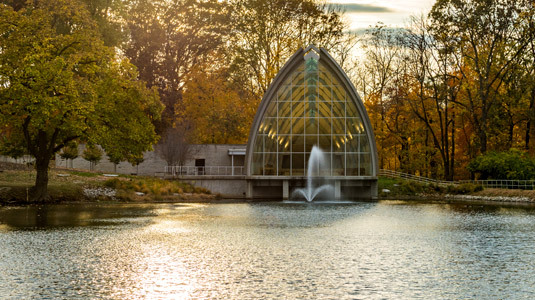 Besides the White Chapel, Rose‑Hulman students can take advantage of several local campus ministries. We know the special role a strong spiritual life can play in the lives of our students and faculty. 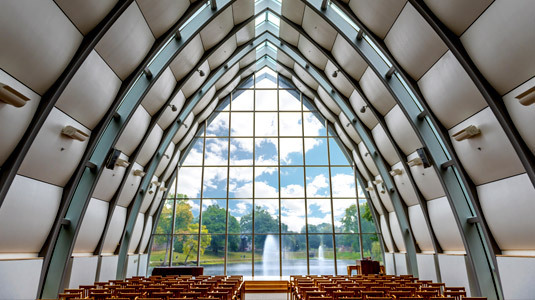 One of our most striking campus buildings is the White Chapel, a nondenominational place of worship and contemplation. 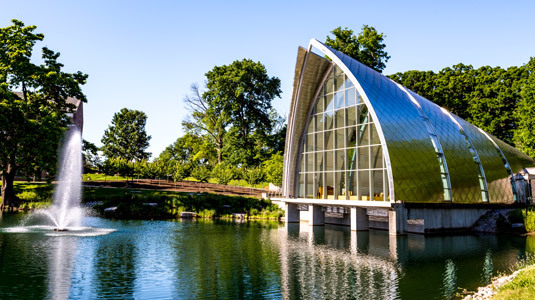 Students, faculty, staff, and visitors may enjoy the view through the glass wall overlooking the lake or simply sit and pray or meditate quietly in the chairs. 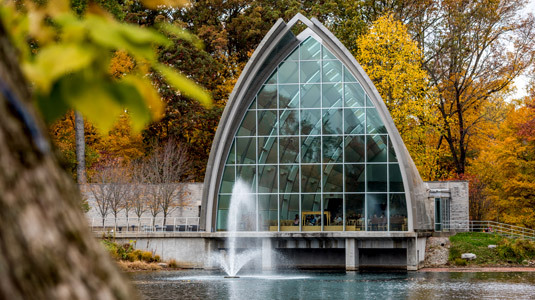 The White Chapel will be open Sunday through Friday, 8 a.m. - 5 p.m. After 5 p.m. it is reserved for scheduled campus groups and other events. 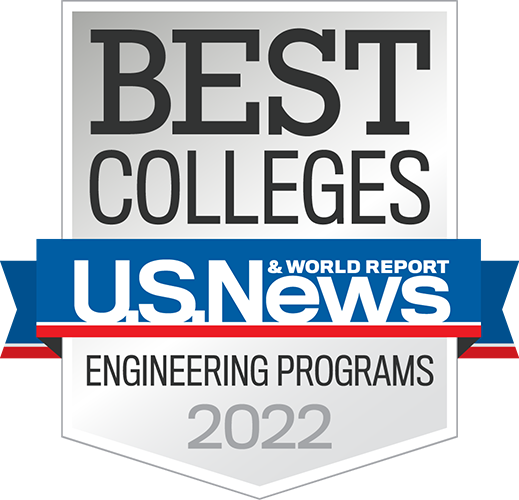 When classes are not in session, call 812-877-8346 for available times. Services are held by various organizations throughout the school year and are open to anyone. For additional information about faith-based campus groups, please contact the Student Activities office. Opened in 2001, White Chapel became an instant campus landmark. 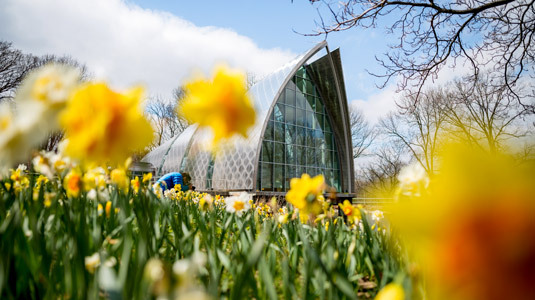 The beautiful, 5,000-square-foot White Chapel has been honored by the Associated General Contractors of Indiana for innovation and excellence. 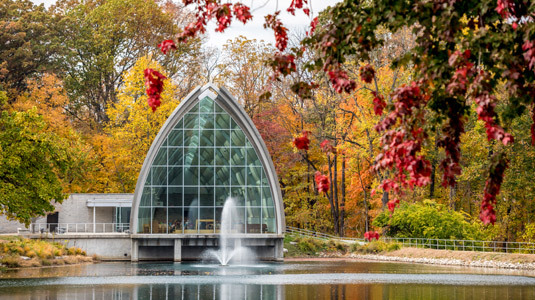 The chapel overlooks scenic Speed Lake in the heart of campus. White Chapel is a popular spot for weddings. White Chapel may be rented by outside individuals and groups based upon availability. White Chapel’s maximum capacity is 200. 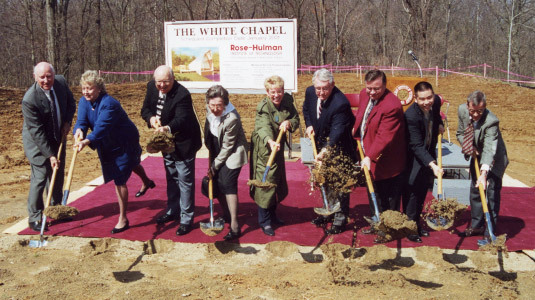 White Chapel’s full name is The John R. and Elizabeth L. White Chapel. 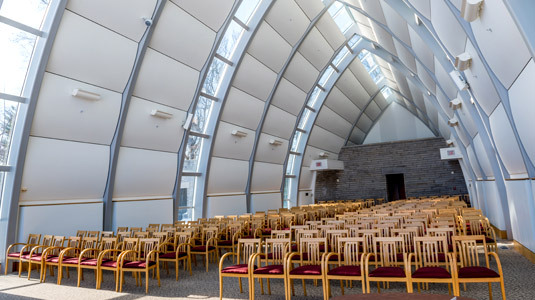 The chapel is named for John R. (ME 1947) and Elizabeth L. White in recognition of the $1.5 million lead gift the couple contributed to its construction. 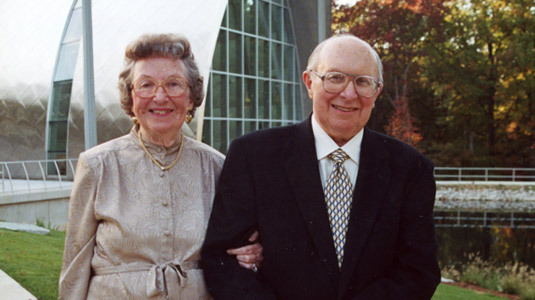 Others who generously supported the construction and equipping of White Chapel were Fred W. Goetsch, Jr., George Kyle in memory of his late wife Betty Jane, Alfred R. Schmidt, Vic Vickery in memory of his late wife Jean Elizabeth, the Bruce R. Walsh Trust, and Marian White Woosley.